Talent recruitment is among the key issues businesses must solve. Attracting the right talent and making the right hire is not as easy as it might sound, especially in the current recruitment landscape. So, what is the future of talent recruitment? We’ll explore the changes the recruitment industry has faced in the past, by analyzing the previous recruitment model and the impact of the digitalization of the sector. We’ll then focus on the major problem recruitment must solve and outline five future trends of the industry. To understand and to appreciate the future recruitment scene, it’s auspicious to first understand how recruitment has operated in the past. This can provide a better idea of the challenges recruiters have dealt with in the past and explain some of the difficulties they might experience in the years ahead. The recruitment landscape is divided into two eras: pre-digitalization and post-digitalization. During the pre-digitalization era recruiters had to rely on paper resumes and job applications. Job posts were advertised either in industry papers, tradeshows or in public recruitment centers. In many instances, jobs were advertised internally and hiring involved referrals by other employees. The selection process also followed a different pattern. The recruiters went through the paper applications and resumes, shortlisting suitable candidates for an interview. Candidates were called for face-to-face interviews, with only a small amount of interviews being conducted over the phone. From the interviewees, recruiters created a further shortlist and eventually picked a candidate for hire. The tools at recruiters’ disposal were just the resume, the application and its questions, the interview and the possible references. Unlike today when the data is plentiful, recruiters didn’t have as much information on the candidates. 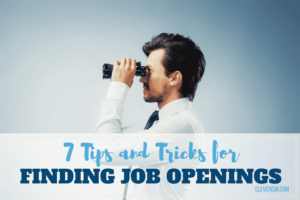 Being hired relied on the appeal of your resume and the personal connection you were able to form with the interviewer. Overall, the process was rather laborious, involving plenty of steps, which have now been digitalized. Not only was it harder to find a suitable candidate for the job position, the whole application process took a rather long time to finish. Perhaps the most important point to make about the past recruitment scene involves the matter of power. In the past, recruiters had most of the power in terms of hiring. Recruitment agencies weren’t as plentiful and there weren’t many options available for being hired. The traditional application and resume route tended to be the most available. Candidates weren’t in control. But the recruitment landscape changed rapidly, as the technological revolution took hold. The digitalization has shaped the current recruitment landscape and it will continue to be the major driving force behind the changes of the future. What are the main differences technologies have brought about? Let’s examine the alterations both recruiters and candidates have experienced. The availability of candidates has exploded, as the Internet and the interconnected nature of our society has made it easier to reach candidates across the globe. Resume analysis has become easier with technology. Data can be collected much faster and in larger quantities, with automated pre-screening of resumes removing the burden of manually checking them. Recruiters have a wealth of information available on the candidates. Social media profiles and other digital footprints have provided recruiters with plenty of data on the person’s personality and suitability for the job. This has potentially made the job of finding the right candidates easier. Technology has also provided more tools for interviewing the candidates. Face-to-face meetings aren’t necessarily needed when video calls can be organized. This again helps to include candidates from different parts of the world to the recruitment process. All of the above points have helped cut the potential cost of recruitment, as well as the speed of the process. Since certain aspects have been automated, you don’t need the same amount of recruiters and browsing through resumes can happen in minutes rather than weeks. The process has also become easier for candidates. Sending out applications is easier, as most recruitment agencies now only take digital applications. It’s also more straightforward since there are multiple ways to contact the recruitment agency in case of problems. The number of opportunities has also increased, as it’s easy to apply for jobs all over the world. While internal referrals are still important, many organizations also like to post jobs on online recruitment boards for faster results. These online job portals have thousands of jobs listed, although the odds of finding a good job can be high. Networking is still crucial for candidates. The increase in opportunities has also shifted some of the power to the candidate. Candidates can learn more about the company through online media profiles and even job discussion forum. This can help the candidate decide whether the role and organization would be more suitable for them rather than applying for a job elsewhere. Candidates must be more careful about their own online footprint, as mentioned above. The line between private and public life have blurred and candidates are required to learn to manage their digital image. Social media does, however, also provide candidates the opportunity to network with potential employers. Since big organizations use automated resume screening, candidates have to pay close attention to creating the ‘right type of resume’. The automated screening looks for specific elements and assets, which must feature on the resume or the candidate is excluded. While organizations often emphasize ‘exceptional’ resumes, a ‘mainstream’ resume is much more likely to get you through the initial process. Watch this webinar on major recruiting trends and strategies. But the digitalization of recruitment has brought about negative changes as well. The current system has become rather too focused on quantity over quality. As companies are able to attract a number of job applications, finding the most talented individuals is harder. The increasing numbers of applications are not just a result of the digitalization of recruitment, but also the generational change. Millennials are more inclined to using the Internet. The job market is becoming increasingly crowded as well, as economic and organizational challenges are limiting the available job numbers. According to Kate Temple-Brown, consultant and former Head of Graduate and Early Careers at FreshMinds Talents, the recruitment landscape has turned into a “numbers game”, as companies are more interested in reaching targets. “They (companies) are starting to see that the quality of candidates is going down and down, because it’s becoming a numbers game rather than a quality bespoke hiring game,” she told LaunchPad Recruits. The problem recruitment agencies must solve centers around finding a solution to attracting the best talent to any given position, without compromising speed and efficiency. The industry is likely to move towards creating an overall better recruitment experience, for both the organization hiring and the candidate. According to Temple-Brown, this could mean recruiters tapping on talent much earlier. “There is going to be a greater emphasis on getting quality graduate recruiters to find quality graduates,” she said. Focus will shift on solving the problem of finding the right ‘fit’ instead of the right ‘skills’ and this can mean talent recruitment will become more about focusing on the personality and the potential. Organisations will focus on talent potential by targeting younger students and graduates, hire the best match and develop the candidate for the specific role. How will digitalization and the increasing thirst for talent, influence the future landscape of talent recruitment? It’s time to turn the attention to five potential trends of the future. According to research, 83% of recruiters currently think the power in recruitment has shifted from the employer to the candidate. Furthermore, this shift is expected to continue in the future and therefore shape how recruitment works. The candidate-driven marketplace means the “active-recruiting approach” becomes obsolete. Instead, recruiting must become better equipped of selling the job to candidates and emphasize the recruitment experience. As mentioned above, the shift of attracting potential candidates earlier has already started. University and school recruitments are becoming a key part of selling the organization to candidates, who are asking “Why should I work for you?” This means recruitment must focus on not what is required from the candidate, but what the candidate can gain from the organization and the role. It’s also likely the recruitment market must focus more on personalization of the process. Just like executive recruitment is currently tailored to provide the candidate with a unique experience, graduate recruitment is likely to become more customized as well. Companies also need to solve the issue of the ‘passive candidate’. These are the candidates who are not actively looking for a job (the first job/a new job/a change of jobs), but who are open to ideas. Instead of waiting for the talent to come to the organization, organizations must be more active in getting to the talent. Since the demographics in many Western countries are changing, younger workforce represents an increasingly smaller proportion of the total recruitment landscape. This also means organizations need to work harder in order to attract talent. Online recruitment platforms will continue to dominate the recruitment process. Organizations must therefore adapt to the situation by focusing on the ease and availability of online applications. It’s important to stress that the focus shouldn’t be simply on using online platforms, but ensuring the application portals are easy to use. Online portals can ensure the speed of recruitment doesn’t drop to past levels, even if the screening process becomes more meticulous. These portals should also be used to not only make the application process easier, but for spreading the message of recruitment opportunities and sharing information on the companies, which are recruiting. In addition, mobile recruitment is increasing in importance and is likely to become the number one channel for candidates seeking jobs. Mobile platforms can bring plenty of benefits to recruiters since these platforms are highly versatile and have high response rates. It can make communication with the candidate easier, as it guarantees fast contact and a variety of different communication forms from e-mail and hangouts to video messaging and file transfers. Recruiters should continue to focus on streamlining the mobile recruitment portals to ensure different functions of the process flow smoothly. Application, communication, interviews and other administrative tasks should be easily performed via a mobile phone, for both the recruiter and the candidate. Here’s an interesting speech by James Beriker on the future of mobile recruiting. The current talent recruitment places emphasis on finding so-called ready talent. Companies are looking for talented individuals with the skills that fit the organization’s need. But since future recruitment is likely to move more towards younger talent recruitment, the trend will be to find the right person, irrespective of current skills. For organization, recruitment becomes more about finding the right fit to and develop the necessary skill set later as part of the job. Furthermore, part of the change is driven by the changing nature of jobs and roles. Jobs today are becoming increasingly specialized, requiring specific skills that aren’t necessarily taught at academic institutions. Therefore, employees are required to acquire these skills “on the job”. Candidates must therefore be able to show ability to be adaptive, as the skills they learn in the university don’t necessarily apply directly to their future job. This poses challenges for recruitment agencies, as they must be better at scouting for the people with the right frame for acquiring these skills rather than necessarily already possessing them. Some scientific research on assessing the fit of a candidate to a company. Big Data is changing the business world and it’s going to influence the future trends of talent recruitment. While data-based decisions are already done to some extent by recruiters, the importance and the role of data-based decisions are going to increase in the future. Instead of focusing on low-value metrics, especially historical metrics, such as education and past employment, the future data-led decisions are going to focus on real-time and predictive metrics. These would include metrics such as self-assessment and the quality of hires. Big Data can help improve the recruitment process because it boosts the understanding of not only the candidates, but also the hires you’ve made in the past. You can better adjust to situations where previous hires had low retention rates or the satisfaction rates of the employee dropped after the hire. While it’s unlikely aspects such as resumes to lose importance, digital profiles and the candidate’s personality will become a more important aspect of data analysis. Older and simpler metrics won’t be the key to data-based decisions, but rather the human aspect of recruitment (personality analysis, etc.) will be analyzed through data as well. Big Data will also boost connecting with passive candidates. Jon Bischke, CEO of Entelo, told Business News Daily how data analytics could help approach the right candidates first. “One of the ways big data is impacting recruiting is around using social data to identify people who are more likely to be open to new opportunities,” Bischke said. Bischke went on to point out data analysis can even “help predict when they (candidates) might be ready to leave an employer and seek a new job”. Finally, while recruiters’ pool of available candidates has been expanded by the digitalization of the industry, referrals are not going to disappear. In fact, the creation of personal connections and the depth of networking will probably become increasingly important for both recruiters and candidates. Future talent acquisition will continue to rely on personal connections and past accomplishments. The importance of referrals has already been evident on professional platforms such as LinkedIn. The platform relies on personal recommendations and connections, which are a good way of being hired. In the future, companies and candidates must continue to focus on networking and fostering good relationship in order to not only attract the best hire (companies), but also to get your foot through the door (candidates). According to data, 40% of today’s hires are done through referrals, with career sites following second with 21%. Despite this, only 7% of applications are referrals, with 32% applications occurring on career sites. Most of the popularity of referrals comes from the benefits of this recruitment type. For example, the same data shows, referrals start work after just 29 days from the application, while career sites tend to take 55 days. Employees through referrals also stay on longer. Since the benefits of referral hires are so strong, the trend is most likely upwards rather than downwards. Digitalization has already impacted talent recruitment and the different applications of technology are likely to continue affecting the recruitment landscape. Whilst recruiters need to adjust to new ways of looking at the hiring process, some practices are going to continue to stay at the forefront of talent acquisition. Attracting younger talent, implementing Big Data analytics and the use of mobile phones are challenges recruiters must prepare for. On the other hand, referrals and the importance of focusing on candidate personality and fit, rather than just pure skill set, will continue to be at the centre of the talent recruitment game.